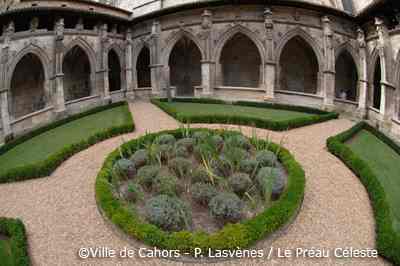 The Secret Gardens Of Cahors : The City of Cahors is proud to recall its flourishing past from the Middle-Ages as well as the beauty of its medieval town centre, one of the largest in France. 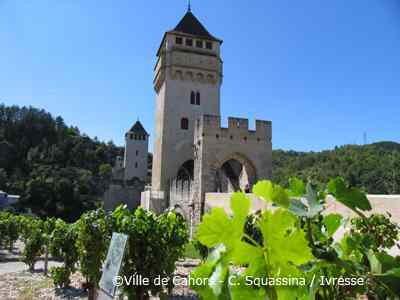 Following this idea, the City Department responsible for the Green areas has been developing an original and unique thematic since 2002 : the ”jardins secrets de Cahors”. Even though those gardens are worth visiting in themselves, they above all are a way to discover thoroughly the architectural patrimony of our beautiful city. After having visited the Pont Valentré, the actual emblem of the town, we invite you to follow the route, spotted on the ground by acanthus, which will lead you to the very heart of our old city where you will discover numerous architectural treasures. 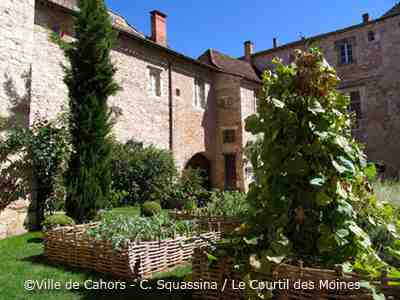 Each garden, presented through a specific theme, will tell you about the History of Cahors, its major events as well as its anecdotes. Guided visits with previous booking	, Duration of a guided visit : 2h00	. 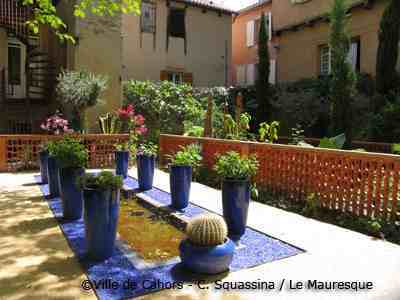 6,00 euros /person only for the guided visits. Shop, Picnic area, Public lavatory, Fastfood-Restaurant, Drinking water fountain, Children's playground, Pétanque playground, Boule-playground, Tourist train ride, Merry-go-round, Swings, Sandbox, Roller skate track, Skate park, Deckchairs, Wi-Fi Access, Children's workshops, Pedagogical presentations, Documentation center, Dog admitted if kept on a lead, Carpark arranged, Camping car site, Diaporama about the gardens. Motorway A 20, exit 57 o 58.